Historic Monuments of Ancient Nara is the UNESCO World Heritage Site in Nara in Nara Prefecture, Japan. The site covers eight places in the old capital city of Nara. Five are Buddhist temples, one is a Shinto shrine, one is a Palace and one a primeval forest. Nara was the capital of Japan from 710 to 784. The city's historic structures show what life was like in the Japanese capital in the 8th century. All of the shrine and temple compounds have been recognized as "Historic Sites". The Nara Palace has been named as a "Special Historic Site". 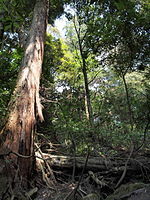 The Kasugayama forest is a Special "Natural Monument". 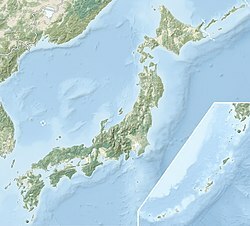 In 1998, UNESCO listed parts of Nara as a World Heritage Site. ↑ 1.00 1.01 1.02 1.03 1.04 1.05 1.06 1.07 1.08 1.09 1.10 UNESCO, "Historic Monuments of Ancient Nara"; retrieved 2012-4-22. ↑ 2.0 2.1 Agency for Cultural Affairs. (1997) "Historic Monuments of Ancient Nara"; retrieved 2012-4-22. This page was last changed on 25 February 2019, at 17:59.